If you have problems sleeping, you should know that it might be due to the lighting that you use in your home. There were different studies done that showed that artificial lights negatively impact our circadian rhythm. Basically, sleep hormone levels are thrown off when we spend a lot of time under artificial light. The solution to this problem is to reduce blue light exposure. However, this is really hard, especially for those that need to spend a lot of time working during the night. If you are among them, Dyson’s new task lamp is something that you want to learn more. Its aim: bring you more natural light. Dyson’s $600 task lamp, LightCycle, may be expensive, but it does a great job at mimicking natural light intensity, quality and temperature. What is particularly interesting about LightCycle is that it mixes 3 warm and 3 cool LED lights in order to replicate natural light based on GPS location and time of day, plus date. We are talking about an advanced algorithm that figures out where you are through an app and give you exactly (or as close as possible) what natural light would be like. Dyson’s LightCycle also includes ambient light sensor that figures out how much natural light is already present in the room. Then, it adjusts and offers what is lacking. Obviously, you can influence this and create your very own natural light experience. The app is highly advanced, allowing you to even add age since this is important as the retina naturally degrades as you age. 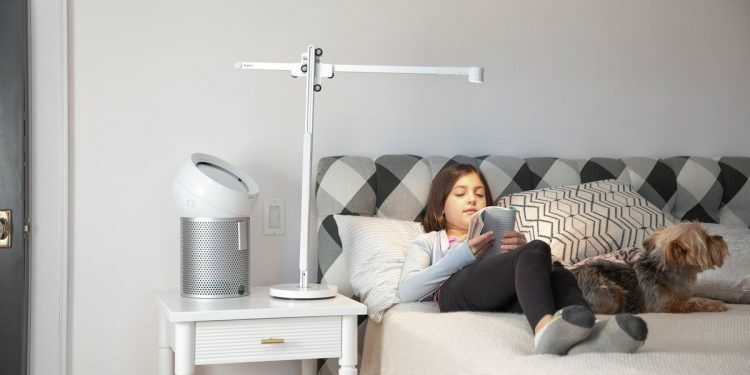 While the $600 version is a task light, there is also a floor lamp option that uses the same technology and costs $800. LightCycle is now available in China and will begin to be available worldwide starting in April. If you need another reason to seriously consider it before the benefits of natural light, it needs to be said that the LED lights that you get are built to last for an impressive 60 years. This is definitely a buy it, set it and forget about maintenance, expect cleaning, of course.